ATAC Maritime Security understands and specializes in security services for marine facilities and vessels in the global maritime sector. The ATAC Maritime Security Teams can put together a complete vulnerability assessment, a regulatory compliance plan (MTSA/ISPS) and provide the personnel and operational structure to manage a multitude of security threats all the while maintaining the utmost professionalism and abiding by all rules and regulations. The ATAC Maritime Security Anti-Piracy teams have extensive experience in counter-piracy operations as well as force protection. Personnel are typically prior U.S. Navy SEALs, Coast Guard and experienced security experts. Cargo Line and Tanker Security – Assist in your Cargo Lines and terminal facilities challenges as well as land and waterborne threats to the cargo, ships and terminal facility. Cruise Lines Security – Complete facility and vessel risk assessment. Operatives are handpicked to fit in with your clientele and cruise line voyage. Private Yachts and Vessels Security – Complete vessel risk assessment, regulatory compliance plan (MTSA/ISPS), trip threat planning, crew training; and shipboard security teams. Learn the risk factors to take into consideration for your voyages and company. 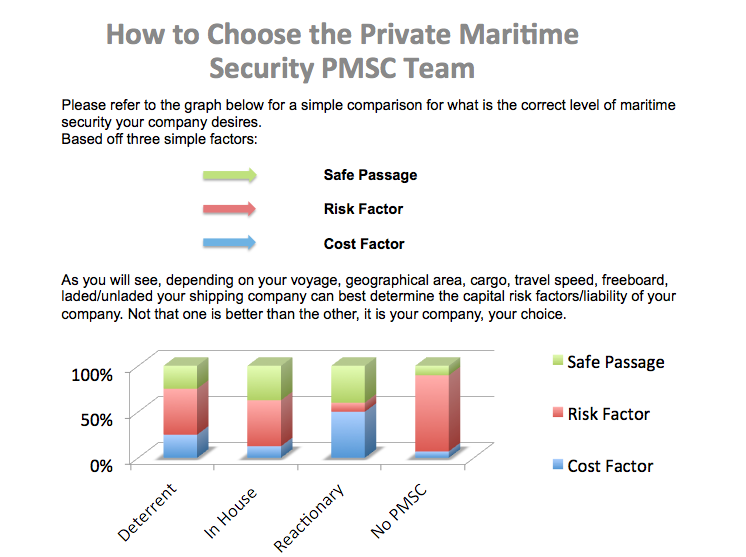 Read more here to choose the best maritime security force for your company. Our technicians work almost exclusively in sensitive areas, using a discreet, low profile, and sophisticated approach in executing their mission. We employ countermeasure technicians that have international electrical engineering experience. Thus, supplying them with a through understanding of electronics, and extensive work experience with both US and foreign agencies. They are equipped with an array of electronic equipment that includes spectrum analyzers, non-linear junction detectors, TDRs, receivers, and scopes. Upon completion of their mission a detailed countermeasure brief and report will be supplied for your records. Before making your next purchase have us perform a comprehensive technical evaluation of the proposed product. We will analyze your unique operating scenarios and specify the proper equipment for the best end results. Our laboratory team of engineers and technicians will perform this unbiased approach to product evaluation. The team is familiar with various manufactures and models of surveillance equipment from around the world. ATAC’s Maritime Security team is dedicated to the goal of making the test and evaluation process meet the high operating standards that is important to the end-users’ operations. ATAC Maritime Security Analysts receive thousands of travel intelligence source material from around the world each day. The source material is continuously collected and updated in our database, then analyzed to determine the overall Country Profile, travel and work environment, the political climate, transportation, health and security issues, and exit/entry requirement information for a given country. This valuable travel information is disseminated in our reports to the client.